Our vacation continues this week. Joyce and I hope you are not having any computer problems! 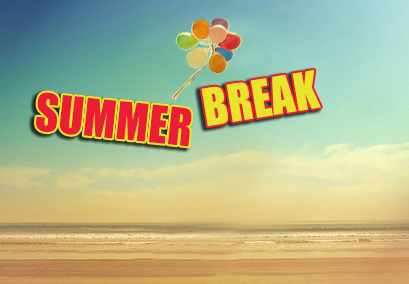 Remember, we have special hours for RTS (9-11 a.m. and 2-4 p.m. - No Quarterly Updates, please - emergencies only.) You can also check out our Vacation Guide HERE for ways you can solve problems while we're away. Some of you have told me "You should write a book about computers!" so I am! 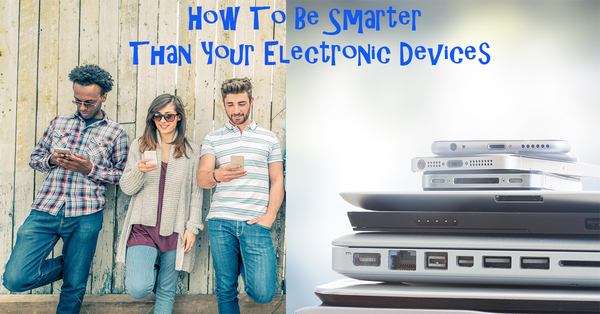 It's called "How To Be Smarter Than Your Electronic Devices." This book is easy-reading, funny in places and will teach you many ways to outsmart your computers, smartphones, tablets and DVRs! There are step-by-step instructions; definitions of those electronic acronyms; a few funny stories from my years of TV, stereo and computer repair; and, even some videos to help you gain control over these crazy devices. Currently, it's schedule to come out around Labor Day. I'm really excited about it but I need your help and, in exchange for that help, I'll give you a 50% discount. I'm sure you know that publishing a book like this - even an e-book - takes some upfront cash. With that in mind, I'm offering this deal: for those who pre-order "How To Be Smarter Than Your Electronic Devices" I'll give you 50% off. Instead of $24.00, you'll pay $12. But, I can't offer this deal forever. The deadline is July 31, 2017. Just a reminder: if you follow us on Social Media, you won't find any vacation pictures posted. We never post those until we're back - for security reasons! Here's where you can get PureVPN as mentioned in the Question of the Week. Question: "Like you, I'm vacationing in a week or so. Is it okay to do my banking while I'm on my hotel's Wi-Fi?" When you're in a hotel and using their Wi-Fi (Wireless Internet), you are on the same router as everyone else in the hotel. Even though you might need to log in with your name and room number, there's no security in that. Once you're logged onto the wireless network, you are open to intrusion from anyone else in the hotel. Is that young girl next door to your room an over-achieving hacker? You don't know the answer to that so you can't take the chance. 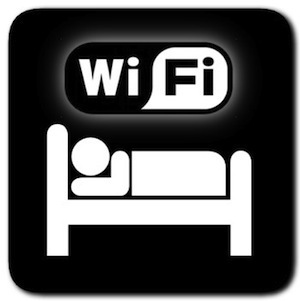 There is a way, however, that you can use the hotel's Wi-Fi. You can use a VPN program. VPN is an acronym for Virtual Private Network. By logging into your VPN, everything you do is encrypted. So, even if the girl in the next hotel room is a hacker and can intercept what you are doing, she wouldn't be able to read your encrypted data. When we're in a hotel, we use the software program called PureVPN. We liked it so much, we became affiliates with the company and, if you purchase through the link found in this email, we make a buck. If you don't want to purchase a VPN, then don't use the hotel Wi-Fi for anything financial!